You know how you can tell when a pro athlete has become a superstar? When he gets a sneaker named after him. And you know how to tell when a superstar has become a legend? When those sneakers that were named after him sell for fifteen thousand bucks on eBay. 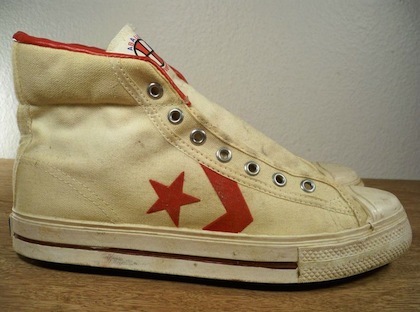 Did you even know that people collect vintage sneakers? Well they do. They’re quite passionate about it, actually, and are willing to part with a lot of dough for just the right pair. So the next time your mom/girlfriend/wife gets on your case about throwing out those 6 pairs of old sneakers taking up space in the closet, tell her you can’t because one day they’re going to pay for your kid to go to college. Or just show her this this. 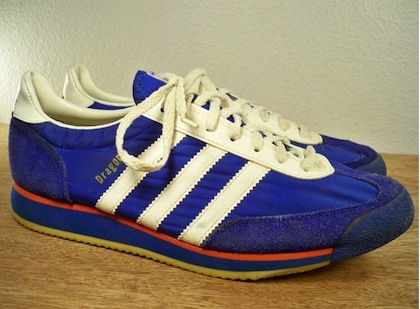 Sure, you could get a brand new reproduction of these shoes at FootLocker for $60. But for only $499.99, you could have an original pair from the 1980s. Well, I assume these are the originals. I guess if you’re considering spending $500 on used shoes, you would know how to tell what’s fake and what’s authentic. Yes, classy. That’s the exact word that came to mind when I saw these shoes. 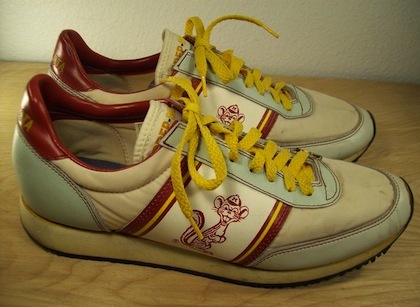 These vintage running shoes don’t appear to be the work of any particularly famous manufacturer, and it seems like they would appeal to a very limited range of collectors (i.e., dudes who live in Minnesota). So I’m thinking that the $695 asking price might be a tad steep. Then again, I don’t claim to be an expert (or to know anything at all) about the market for vintage sneakers, so maybe this there is a bigger demand for these after all. Let’s check back in a couple months to see if they’ve sold or if the price has been reduced. After a little research (and I do mean a little), I quickly discovered that Bata is actually a pretty historic shoe company. It was founded by Thomas Bata in 1894 in what was then the Austro-Hungarian Empire (today, the Czech Republic). The company spread all over the globe, including to the United States and Canada, the latter of which is home to the Bata Shoe Museum. So, although there is little precise info about these shoes, if they are indeed Bata shoes from the 1940s, then they’re probably worth the hefty asking price. Peter Max is an avant-guard pop artist who became a household name in the 1960s as his colorful prints began popping up on posters in college dorms and, later, on commercial products. 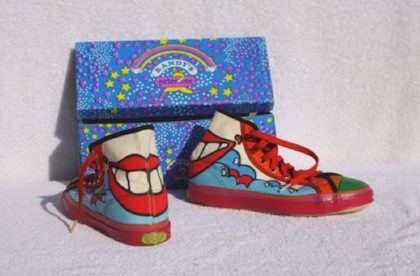 One of the various commercial products to feature his art were these sneakers for the Randy Corporation, which were supposedly purchased by the seller in 1969. So these (ugly) things may actually appeal to two kinds of collectors—vintage shoe collectors and art collectors. Sometimes known today as DR. Js (because some dude named Julius Erving used to wear them, and his always he had “DR. J” embossed in gold), the Converse Pro Leathers were the basketball shoe from the 60s to the 80s. Since then, even though they are no longer “performance” shoes, Converse still releases some special edition DR. Js from time to time. These, however, are a pair of the originals, and therefore a piece of sneaker history. Hence the $1,500 asking price. Being a special edition of a classic shoe, these guys are pretty rare. I have a feeling someone will buy them for a hefty price, if not for the full $2K. The Skoots were produced from the mid 30s to the late 40s, and were originally designed for army recruits to wear during training. 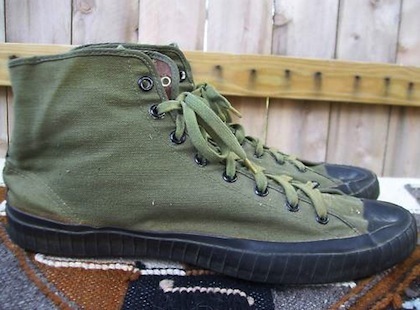 Though they look pretty similar to Chuck Taylors, they supposedly had superior support and ergonomics. 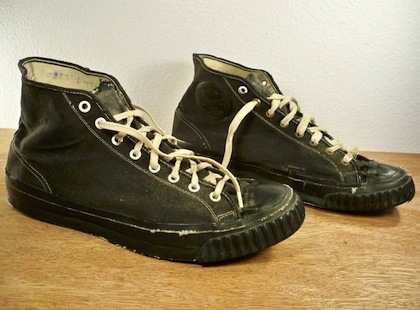 They never became as popular with the general public as Chucks (people like the white rubber, I guess), but today these guys are the bigger find for vintage collectors. 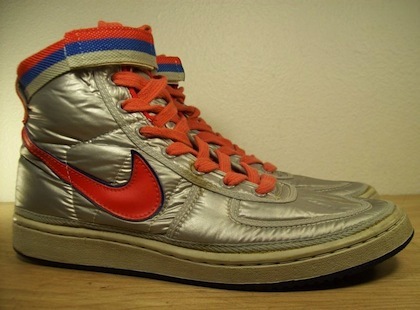 Nike introduced their Dunk basketball shoes in 1985, then brought them back in 1998. The low-tops became popular among skateboarders, and spawned a whole new line designed specifically with them in mind. This pair here is really rare. 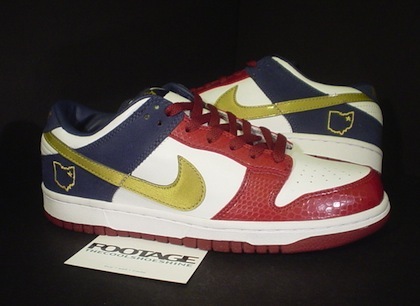 They’re a special LeBron James Akron Ohio edition (see that little outline of the state of Ohio there on the side? ), made the year James was drafted (2003). Obviously, Nike was trying to get in on the ground floor of what will surely be a huge LeBron James memorabilia market one day in the future. And given the price of these shoes on eBay, I’d say they succeeded. 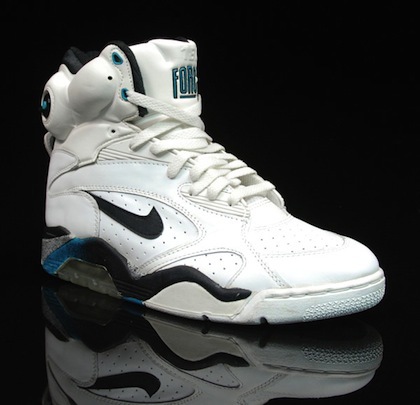 These bad boys from 1992 were Nike’s response to Reebok Pumps. 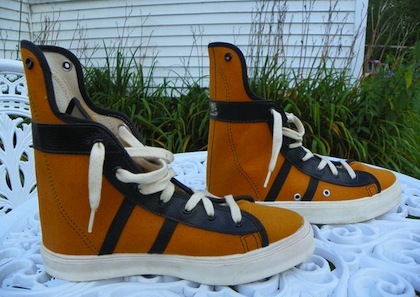 This particular pair retailed originally for a whopping $175, which today would be like $280. So yeah, they are some serious footwear. The pair for sale on eBay is brand spanking new, never worn. So that’s probably why the price is set so high. Unfortunately, the guy selling them posted a really crappy picture, so I found this better one on nicekicks.com that shows you the Nike Air Force 180 in all its glory. A pair of mint condition Air Jordan I’s would sell (or be listed) for at least $5K. 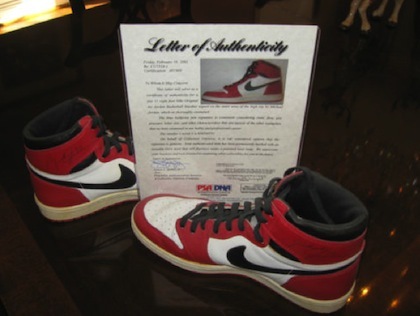 But this hear is a pair of mint condition original Air Jordans from 1985 that are autographed by the man himself, along with a letter of authenticity.